There are few people I’ve met who are more fun and inspiring for making images than the Meidell family: classic faces, marvelous people, and fantastically genuine. 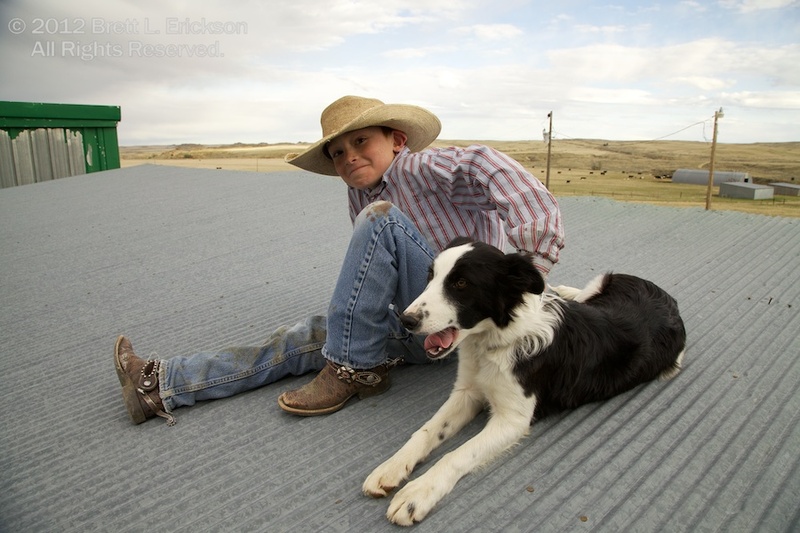 On a Monday night, just as the sun cleared the clouds to the west of the Lusker ranch, Leif Meidell and one of the family dogs, Claire, sat on the corrugated metal roof of the garage, the Great Plains stretching out behind them. Neither could have looked better that night. I greatly appreciate your comment-it’s nice to know the gist of this project is finding success.